Terrance was born at Paddington in Sydney in 1949. He grew up in Blakehurst, which at that time was an outer suburb of Sydney. Terrance is the oldest of 5 children. As a young teenager, Terrance’s interest in classical music began to blossom as well as a deep interest and curiosity in the larger questions of existence. Terrance started work in 1966 as a Copyboy for the Australian Women’s Weekly. During this same period, he was lead singer and rhythm guitarist in several bands, including a short stint privately, at Sydney Conservatorium. In 1970 he went on to study and work as a Film Editor with the Australian Broadcasting Commission. From late teenage years his growing interest in philosophy and spirituality significantly intensified and after 3 years working and studying as a film editor for the ABC, he renounced all his commitments in order to retreat into the mountains of Tasmania, where he was afforded the peace and quiet needed to ponder some of life’s big questions. He also explored a number of meatless diets, meditation, yoga and the joy of exploring utter independence of mind and thought. 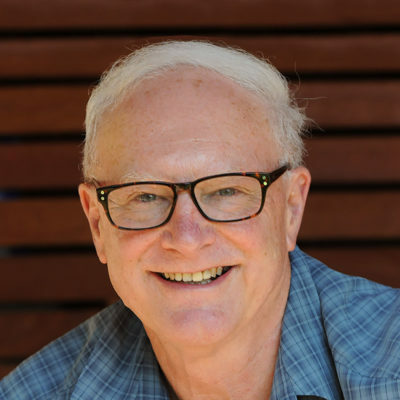 During 1974-75, Terrance’s enduring passion and interest in philosophy led him to live and work at the Findhorn Foundation in Northern Scotland and, in 1976, he founded the “Awareness Centre” at Chatswood in Sydney as well as teaching and lecturing extensively on the “Potential of the human spirit”. During this period, he gave many TV, Radio and newspaper interviews with a number of 20 minute weekly stints on Double J, exploring philosophy, spiritually and many ‘New Age’ concepts with presenter, Sandy McCutcheon. Quickly the Centre was successful with over 30 volunteers who helped run a number of programs, the lecture theatre, which would hold 120 people, a restaurant, a bookshop and a number of dedicated workshop rooms. In 1978 he played a chief role in establishing the Homeland Foundation Trust and as well, organised and directed a 6-week National Tour for Peter and Eileen Caddy, the founders of the Findhorn Foundation. Terrance also participated in the national tour, giving numerous workshops and lectures on the potential of the human spirit, and the profound relevance of not belonging to ideologies. He also explored the significance and beauty of finding stillness within our busy lives. Terrance also participated in numerous meetings with heads of State Governments, Government Ministers, Aboriginal Elders, community leaders and enjoyed personal time with Elizabeth Kubler-Ross, who was in Melbourne at the same time. Terrance’s growing friendship with Dr Jim Cairns, who had become a frequent visitor at the Awareness Centre, was also pivotal in setting up a wonderful afternoon with Premier Don Dunstan, including the South Australian Attorney General. Dunstan wanted to explore how the South Australian Government could set or help set up a number of communities underpinned by ethical, moral and philosophical foundations, within the State and the City of Adelaide. Dunstan was also questioned his visitors about the development of a much broader spiritual and philosophical conversation within all state schools. In addition, Don had organised a meeting with 8 Aboriginal Elders whom he had flown in from in from the Northern Territory, northern South Australia and other regions and had also helped organise flying Terrance and the Caddy’s out to Uluru, as he believed this to be a most important site for the group to visit. In 1978/79 Terrance went through a huge change in his view of New Age spirituality and associated philosophies, deciding to withdraw from the Homeland Foundation and Trust, the Awareness Centre, Findhorn and all other related commitments. On leaving the Homeland Foundation Trust in 1979, Terrance, for the next 3 years, continued leading workshops and giving major talks, exploring consciousness, human potential and the profound beauty of existence. All subjects he believed were immediate and relevant but not necessarily belonging or coupled to any ideology or particular spiritual philosophy. In 1980, he spent a year living in the US where he attended lectures on Philosophy, some with the great thinker and philosopher, J. Krishnamurti. Early in 1982, a friend of Terrance, Paul Rigby asked Terrance to create a stained glass window for his new home. Terrance, never having cut glass nor designed an artwork, offered to give it a go and undertook the project. It was from this point onward Terrance never looked back. He established his first studio at ‘The Glade’, Wahroonga in 1982/3 where he initially designed and created contemporary and ecclesiastical stained glass, and in 84 established a course, teaching glass art twice a week. His interest in the arts grew and a passion for sculpture, murals, water features etc., began to emerge in 1986/7. He received his first sculptural commission in 1988; designing and creating the 14 foot high, beautiful solid glass and granite sculpture, ‘Purity of Spirit’. With his background and deep interest in music, philosophy, science and the relationships of living forms, Terrance works on developing themes in his art that attempt to reveal the interconnectedness and innate intelligence of all life and the profoundly powerful and beautiful nature of existence. Terrance has designed and created many contemporary and figurative works, some over 80’ high, and 170’ long, as well as a number of sculptural water features, cenotaphs, murals and stained glass windows. He has won and been awarded many commissions by councils, corporations, churches, the State Government and individuals. Just recently, Terrance was awarded an ‘Order of Australia’ for his contribution to the arts. He has also been awarded a ‘Medici Medal’, twice, for his sculptural contributions to the Florence Biennale, the ‘President’s Award’ from the Sculptors Society of NSW, the ‘People’s Choice Award’ in the McClelland Survey, etc. Kangaroo Press also published Terrance’s book ‘Stained Glass Inspiration and Designs’, launched by Hazel Hawke in 1993, which sold out 3 editions, including the original hardback edition. Over the past 25 years, Terrance has employed welders, sheet metal workers, mould makers and trained numerous enthusiastic young artists. To date, all his sculptural works, both figurative and contemporary, as well as murals and mosaics have been constructed within his own studio, including most of his glass artwork. Terrance has extensive experience working with some of the most senior officials and administrators in the state, including the Governor and Premier of NSW, Cabinet Ministers, Senior Bureaucrats as well as many Senior Council Officials; leaders of large architectural and corporate enterprises; hydraulic, civil and structural engineers; bronze and stainless steel casting foundries, and local industries. Throughout his career, Terrance has employed a passion for exploring the potential and combination of new materials. Currently, he is constructing a 50 foot, 5 tonne, aluminium sculpture for Adelaide, as well as exploring 3D concepts involving movement, liquid, light and interactive sound. Terrance has now worked as an artist/sculptor for more than 35 years. He is currently based in the Blue Mountains in NSW where he also lives with his beautiful wife Shirley. They have three children and 5 grandchildren.